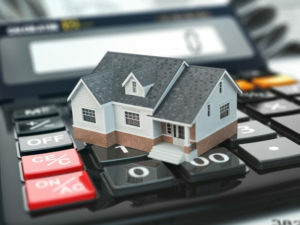 Recently revealed statistics show a trend of high income households holding a growing number of the current mortgages. What has not been revealed, however, is why the traditional middle class are owning less homes. Experts have yet to come to a solid conclusion, but an array of suggestions have been made. This impact could be a result of rising mortgage costs, the decline of our economy, a growing generation of people who wait longer to purchase homes, something else entirely, or a combination of any of the above. Regardless of why it is happening, the numbers do speak for themselves. In 2009 – just nine years ago – most homes being mortgaged were held by typical middle-class families who earned between $50K and $100K each year. The exact percentage was 41.12 percent, which is very close to half of all mortgages. Today, this financial bracket possesses only 36.27 percent, which is a drastic decline for so short a period. The number of households earning less than $50K who possessed mortgages also steeply declined. This decline directly coincided with a steep increase in mortgaged households with over $100K yearly earnings. As of 2016, the number was rising steadily to near half of all homes, with an exact percentage of 40.91 percent. This number placed it very close to the percentage of mortgages held by middle income families not even a decade earlier. This trend persisted in four out of five of Pennsylvania’s most populous counties. The only one which did not follow this trend was Philadelphia County. Not only did it not follow the trend of high-income household mortgages possessing the largest portion of the market, but it swayed in the opposite direction. The highest number of mortgages in Philadelphia County was, instead, among households who earned under $50K yearly. With the lowest bracket making up 36.63 percent, the middle-class bracket held 33.28 percent. The county with the highest number of middle-class mortgages held was Allegheny. Yet still high-income households overshadowed the 34.76 percent, encompassing 43.93 percent of the market. Two Pennsylvania counties did see an increase in mortgages held by the typical $50K to $100K bracket. Fayette county had an increase of 13.51 percent, while Franklin County saw a smaller increase of 6.19 percent. On the other side of the spectrum, there were two Pennsylvania counties who reported more than a 100 percent increase in high-income families. A 114.04 percent increase was seen in Clearfield County, while Northumberland County saw an increase o 11.77 percent. In terms of decreases in high-income mortgages, there were also two. Blair County decreased by 8.6 percent, while Monroe County decreased by a modest 1.09 percent. If current trends persist, the market could see more than half of all Pennsylvania mortgages being held by households generating over $100K income yearly within the next five to ten years. Experts are unsure whether this trend will continue to persist, or whether there will be a downwards curve back towards prominent levels of middle-income families as the millennial generation begins purchasing homes. This entry was posted in Blog and tagged Households in Pennsylvania, mortgages by Scott Li. Bookmark the permalink.